In a talk by reputable Raghuraman Balachandran, Solutions Architect for Amazon Web Services, participants will learn how to design clean, dependable data lakes on AWS cloud. He shall also share his experienced outlook on tackling some common challenges of designing an effective data lake. Mr Balachandran will explain the process to store raw data – unstructured, semi-structured or completely structured – and processed data for different analytical uses. Data lakes are the most used architectures in data-based companies. This talk will allow attendees to develop a thorough understanding of the concept, which is sure to boost their skill set for getting hired. Deep learning models require considerable system resources, including high-end CPUs and GPUs for best possible training. Even after exclusive access to such resources, there may be several challenges in the target deployment phase that were absent in the training environment. Sunil Kumar Vuppala, Principal Scientist at Philips Research, will discuss methods to boost the performance of DL models during their inference phase. Further, he shall talk about using Intel’s inference engine to improve quality of DL models run in Tensorflow/Caffe/Keras via CPUs. The demand for AI skills will skyrocket in future – so is the prediction of many analysts considering the extremely disruptive nature of AI. However, growth in AI skills isn’t occurring at the expected rate. Amitabh Mishra, who is the CTO at Emcure Pharmaceuticals, addresses the gap in demand and development of AI skills, and shall share his expert thoughts on the topic. Furthermore, he will expand on the requirements in AI field and provide preparation tips for AI professionals. In the talk by Senior Director of Walmart Lab, Prakhar Mehrotra, audiences get a view of Walmart’s progress in India. Walmart Lab is a subsidiary of the global chain Walmart, which focuses on improving customer experience and designing tech that can be used with Merchants to enhance the company’s range. Mr Mehrotra will give details about Wallmart’s AI journey, focusing on the advancements made so far. A good ML model comes from a clean data lake. Generally, a significant amount of time and resources invested in building a robust ML model goes on data cleansing activities. Somu Vadali, Chief of Future Group’s CnD Labs Data and Products section, will talk about how ML can be used to clean data more efficiently. He will speak at length about well-structured processes that allow organizations to shift from raw data to features in a speedy and reliable manner. Businesses may find his talk helpful to reduce their time-to-market for new models and increase efficiency of model development. Machine learning is the biggest trend of IT and data science industry. In fact, day by day it is gaining more prominence in the tech industry, and is likely to become a necessary skill to get bigger in all fields of employment. 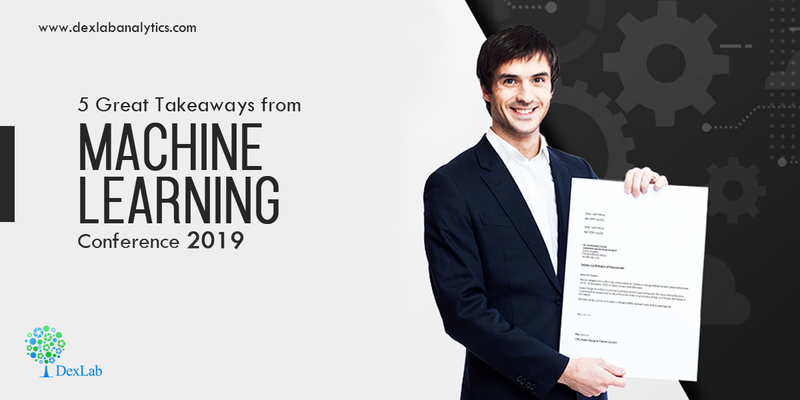 So, maneuver your career towards excellence by enrolling for machine learning courses in India. Machine learning course in Gurgaon by DexLab Analytics is tailor-made for your specific needs. Both beginners and professionals find these courses apt for their growth.